Every year the Coleman SBA BDO Compensation survey asks BDO’s to rate their number one challenge. 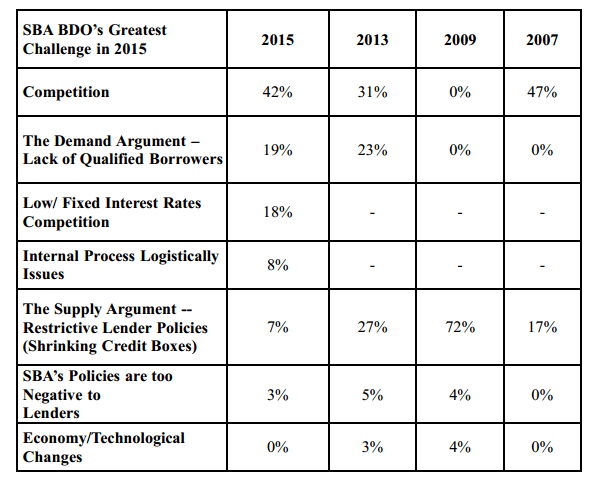 The BDOs three biggest challenges? New to the challenge list this year is interest rates, specifically competing against conventional, fixed rate loan products. The lack of qualified borrowers continues to be a major challenge for 19% of participants.